In a small bowl, dissolve gelatin in 1 cup boiling water. In another bowl, combine cranberry sauce and remaining water; add gelatin mixture and lemon juice. Pour into a 13x9-in. dish coated with cooking spray; refrigerate until firm, about 1 hour. In a large bowl, beat cream until stiff peaks form. In another bowl, beat cream cheese until smooth. Stir in 1/2 cup whipped cream; fold in remaining whipped cream. 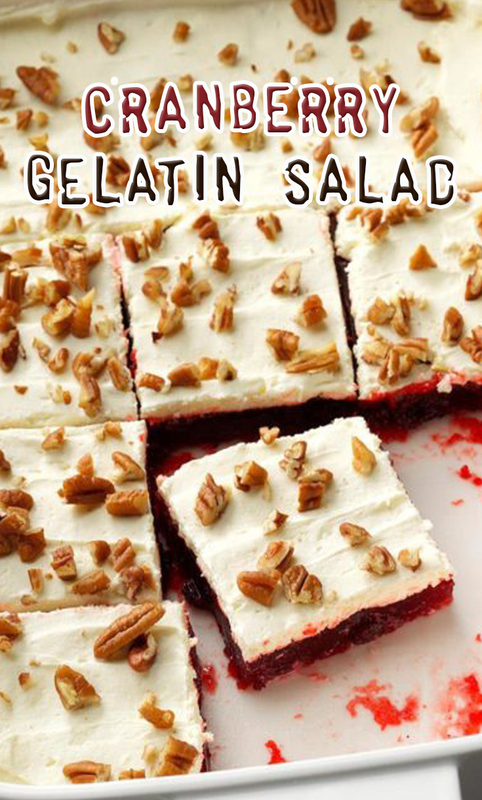 Spread over gelatin mixture; sprinkle with pecans. Refrigerate for at least 2 hours.